A Literary Odyssey: Book 45: Finished. I didnt realise it was nearly 1000 pages, wow. But sounds like a must read and its set in an era I know very little about. I still have to read this. I think it has moved up on my list after reading your posts on it. I love it and it did become one of my favorite books but I guess I love overly dramatic and romantic things. I'm planning on starting this book this week. I've read lots of short books this month so I'm read for something long and epic and all of your talk about it just pushed me to go for it. I tried reading this when I was fourteen, and I really struggled. Couldn't get past the first hundred odd pages or so. I've been meaning to try reading it again for the longest time, but something or the other keeps coming up. I am so glad that you loved it. Like you, its not the best book I have ever read, but it is way up there for me. Scarlett! She is so wonderfully annoying, as is Rhett. Everything about this book is epic and I love it. Good review. 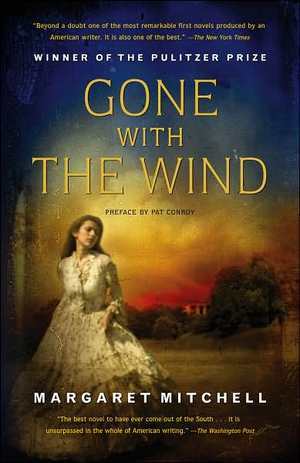 The read is so worth it even just for Rhett Butler. Regarding Rhett, I really do think he’s the a man reader should fall in love with. What he did to Scarlett was the smartest (and safest) thing he could have done considering her personality. He was protecting himself. It’s just frustrating to see the missed opportunities and misunderstandings. He didn't get me at hello, but almost. He got me when right at the start, at the BBQ, he’s calling the young men to reality and says “"I mean," he answered, "what Napoleon--perhaps you've heard of him?--remarked once, 'God is on the side of the strongest battalion!'" I'm in the midst of reading this one now - for the third time. I love what you said about it unfolding slowly. It does, at that. When I first read it I had to slog through the first 100 pages. But on my second (and third) read, those first hundred made sense, and were necessary.